That’s the question being asked more frequently around McKinney as the scavenger app becomes better known. Perhaps you’ve recently downloaded it on your Smartphone. More likely, though, if you’ve been on the downtown square recently, you’ve no doubt seen their logo on the Virginia Street building previously occupied by The Garret Art Gallery. The first places the game really caught on, oddly enough, were in California, Michigan and Germany, not Texas where it was created. The game now has players in more than 100 countries with more than 1.6 million of the QR code “Munzees” deployed worldwide. More than 100,000 players are busy globally scanning and capturing the codes with their phones. Doing so earns the players points, badges, and other virtual awards. But before we get into more detail than we even understand here, we’ll direct you to their site for the “how-tos” where you can learn all you need to know … and then some. The app is free, but premium memberships are available for $30. Players can also buy stickers to deploy as well as other game-related items. The company also works with corporations in a variety of applications (team building, customer games and branding) as well as individuals in planning parties or other events. In January 2014, the company’s handful of employees moved from working in their homes to a second floor office space above Antique Company Mall. In April 2014, Munzee announced a partnership making the app compatible with Fitbit. If you’re using this popular device to get in shape, playing Munzee will add to your step count, distance and calories burned! 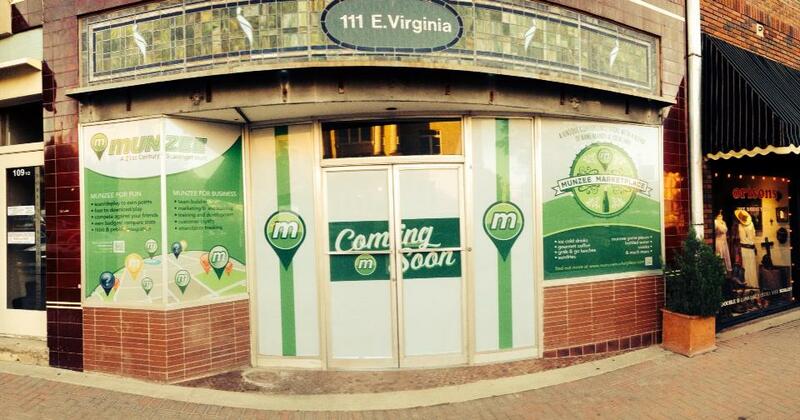 By early August, they’ll be moving again – this time to 111 E. Virginia, in the middle of the square. But more on that later. So now that you have the basic facts, let’s get on to what’s on the horizon for Munzee and why we think you ought to give the game a try! First of all, Munzee is just plain fun. You download the app, pull up a map on your phone that shows all the Munzees deployed worldwide, then zero in on your location to start capturing those around you. And it’s active! Your kids won’t put down their Smartphones and get off the couch? Maybe they’ll leave the house and enjoy a rousing couple hours of hunting for Munzees with you, phones in hand. Secondly, the “Munzee Guys” are great fun to work with. We lovingly call them that, knowing full well that there are also two “Munzee Gals” on the team. (Shout out to Omi Salavea, their Director of Social Media, and Trish Vandehey, their graphics designer.) Best of all, they “get” our mission at the MCVB (to promote tourism in McKinney) and we love that their app is a beautiful compliment to that mission. There hasn’t been a week since we first met them a couple months ago that they haven’t sent people down the street to our office, visitors to McKinney who came here just because the Munzee office is here. These player-fans stop in McKinney on their travels across the country and even across the globe to meet the Munzee team! How cool is that? 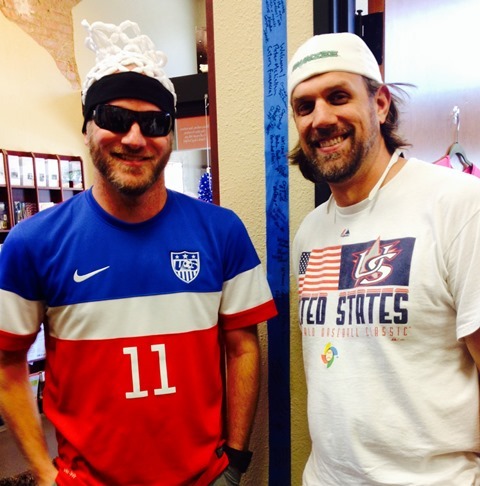 In fact, they are putting together an Amazing Race-style contest (the A-Munzing Race!) during Oktoberfest this September and already know of someone planning to come here from Lithuania to participate. How about that for promoting tourism! And thirdly, they will soon be impacting not just the people who like to play the game, but all visitors to the downtown square when they open the Munzee Marketplace. The new “convenience store with a twist” has a target open date of Aug. 1 and will feature sundries (sunscreen, toothpaste, pain relievers, and other necessities travelers may have left at home), snacks, bakery items, grab-and-go sandwiches, coffee, tea and soft drinks as well as other goodies. And of course, there will be a section of Munzee items available, too. 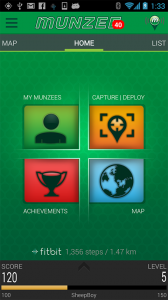 On this July 4th weekend, why not download Munzee and give it a whirl? Just finding all the Munzees located in McKinney will keep you, your family and friends busy for awhile! And for those of you reading this blog from elsewhere in the world, we challenge you to try it, too. What better month to try it out than Munzee’s birthday month, when they’re awarding prizes randomly to players every three days. Maybe you’ll get lucky and win a cool prize.